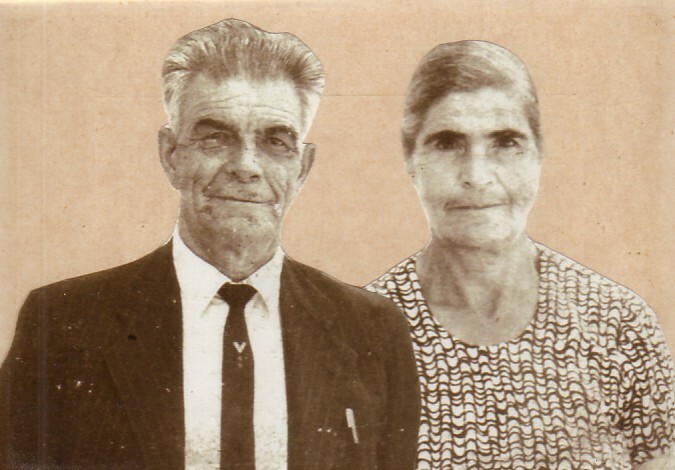 Above: My maternal grandparents, Nikolaos and Pelagia (nee: Ganosis) Xipteras. 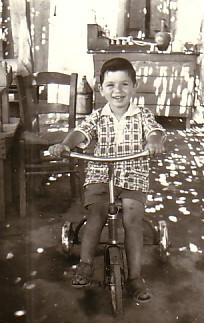 Above Right: A childhood photograph. 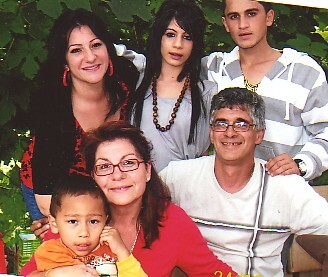 Above: Thje Mouhtouris family. 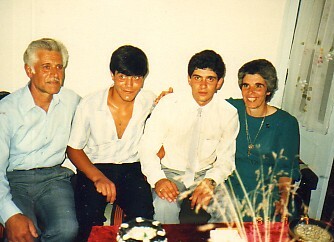 From left, we are: my parents, Giorgos and Efstratia, and my brother, Nikolaos (left). 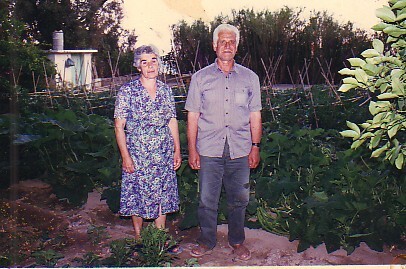 Above Right: My parents, Giorgos and Efstratia in their fields in Armeno (Melinda). Above Right: With my wife, Marina, who is holding her grandchild, Alexandros, her daughter, Tania, and my children, Maria and Giorgos. 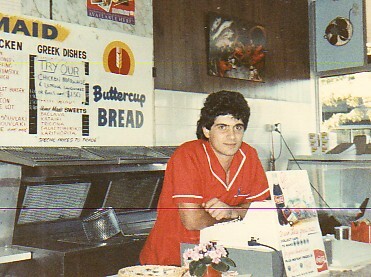 Above: In my take away business at Punchbowl (1990- 96).